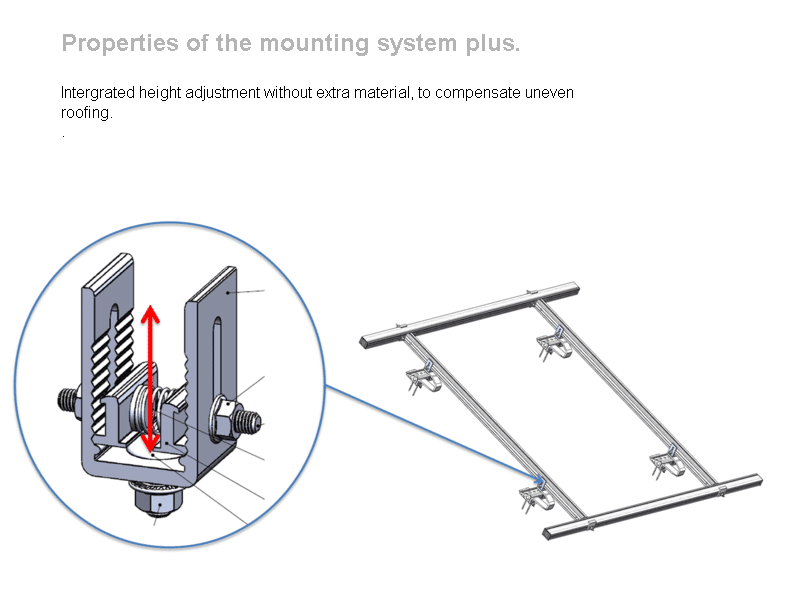 Our new mounting set PLUS stands for safety, stability and durability. The aluminium system consists of only a few parts. These are perfectly harmonized with each other, allowing rapid, reliable installation. 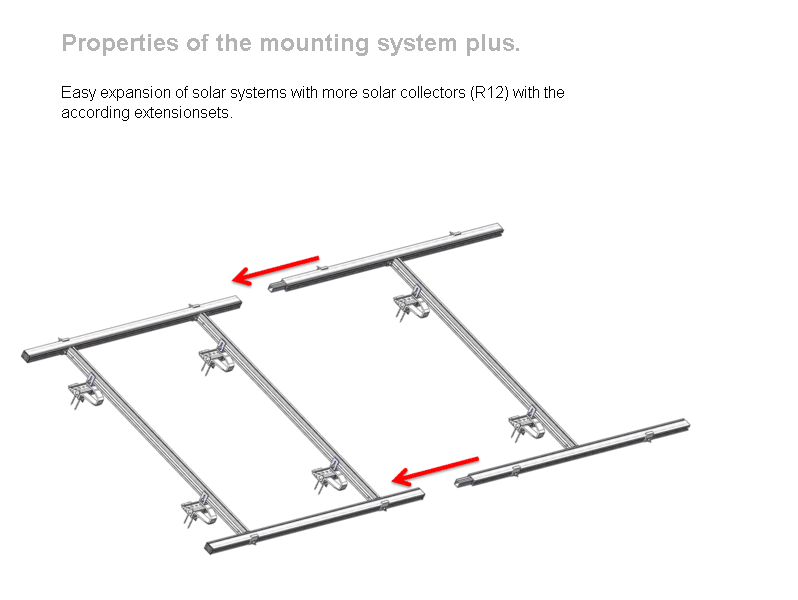 Irrespective of the roof material and region, the system offers the optimum solution for all solar thermal systems thanks to even weight distribution over the module frame and a balanced load on the roof structure. These regulations deal with the design, manufacture and development of mounting systems for solar thermal systems. 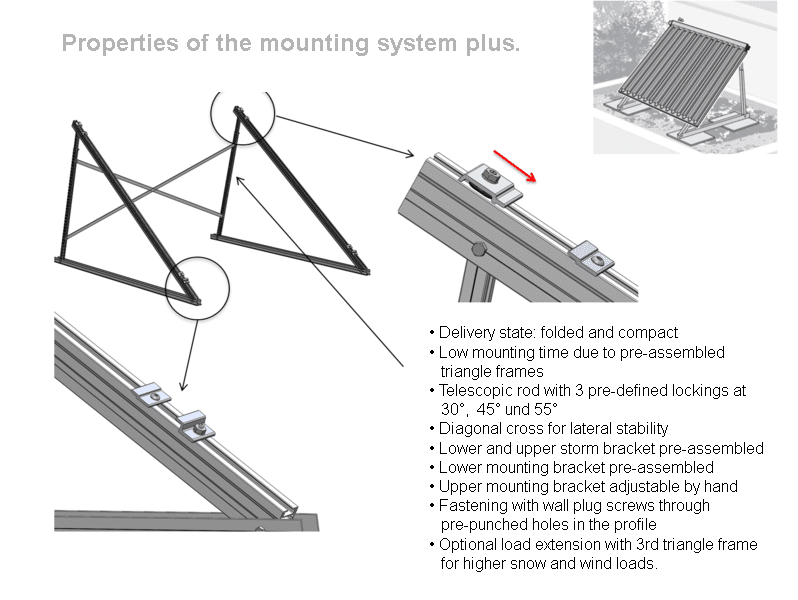 The relevant standards require the mounting system to transfer any forces occurring on site at any time to the roof structure safely, without any damage. 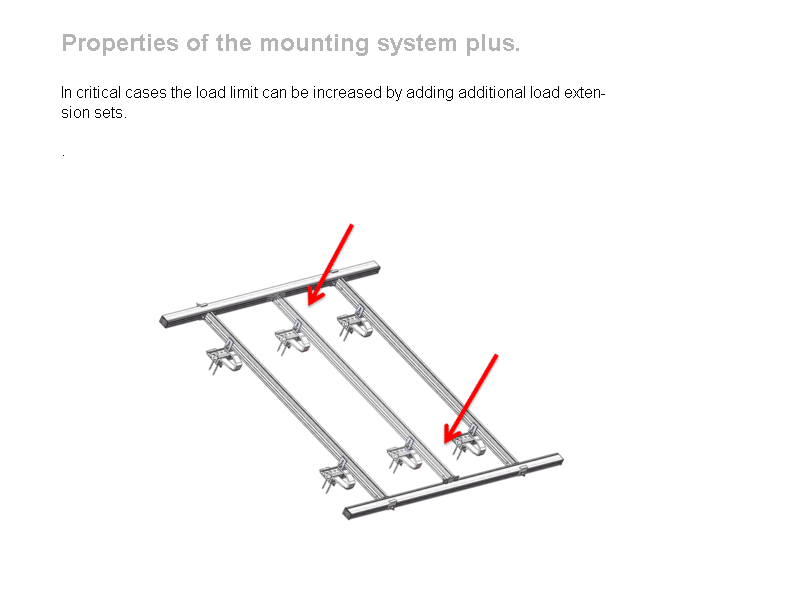 In order to minimize damage and the liability risk, it is necessary to develop mounting systems that meet all these requirements. 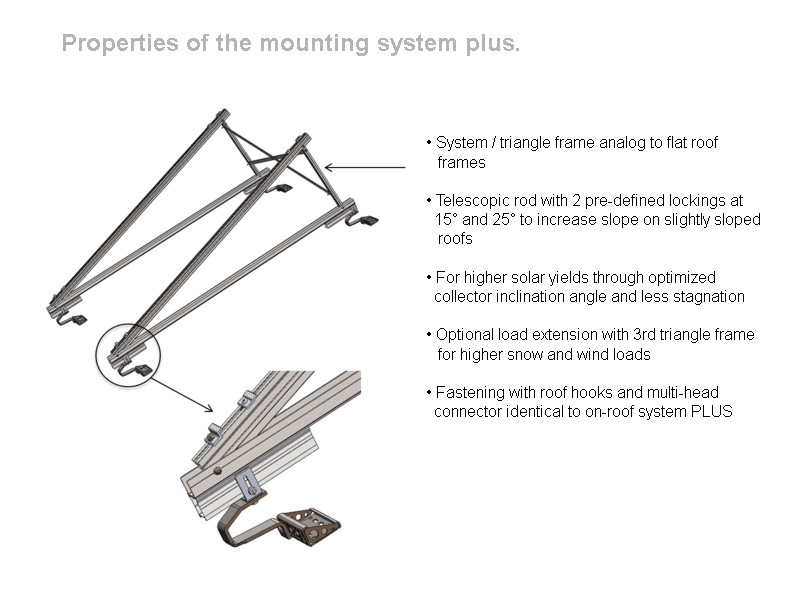 The roof mounting system PLUS is also available with slope correction (15°, 25°). On slightly sloping roofs, these units allow greater contributions to a supplementary heating system. 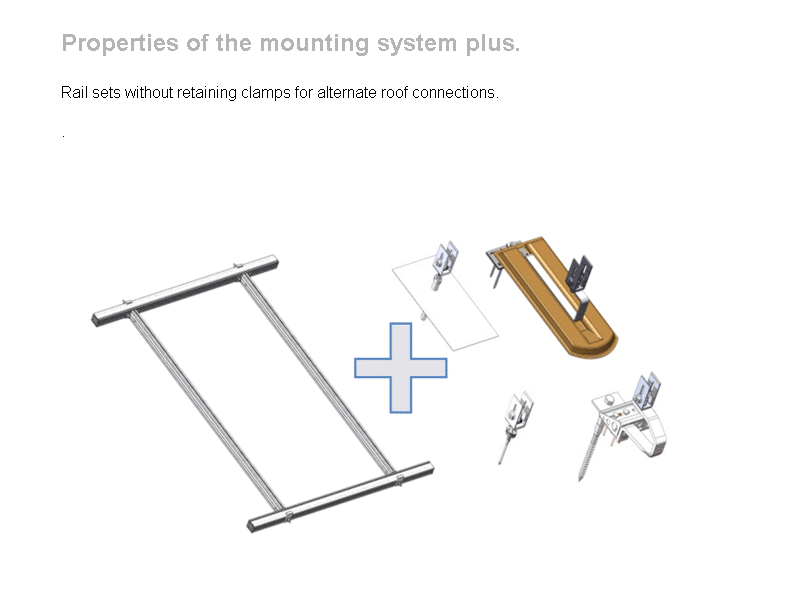 The mounting set for installation on flat roofs can be adjusted to an angle of 30°, 45° or 55°. 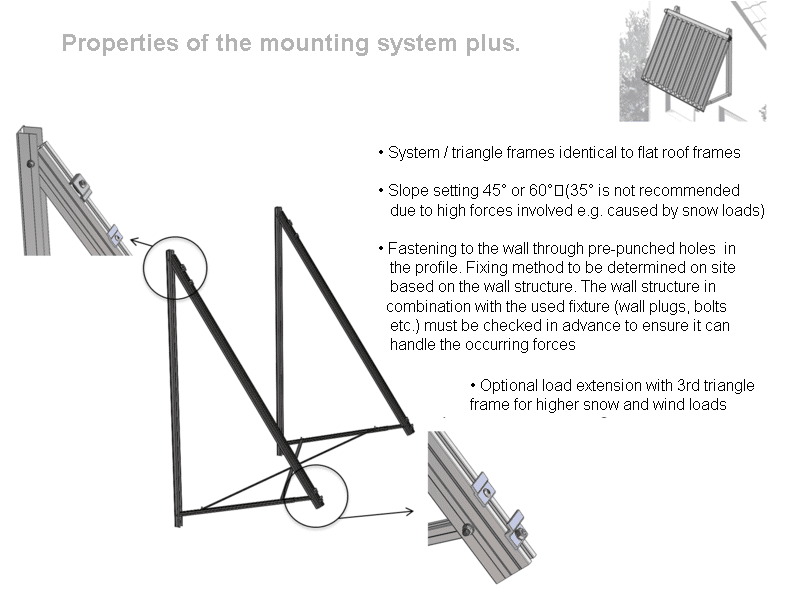 Systems for wall installation can be adjusted to 45° or 60°. Sections are made from high-grade aluminium alloy with a large hollow chamber, which minimizes weight and provides exceptional load capacity. A special slate roof connection kit reduces the installation time and avoids damage to the slates.